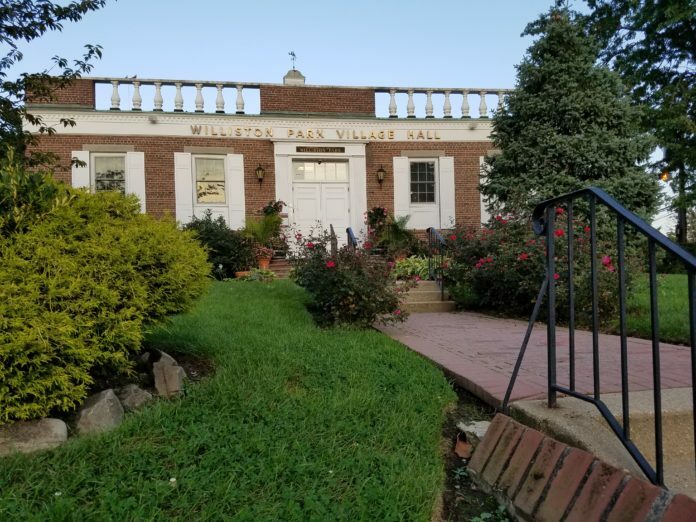 Williston Park Village Hall, as seen on an early fall evening. (Photo by Janelle Clausen). Similar to the actions taken by neighboring municipalities, the Williston Park Board of Trustees will hold a public hearing later this month on what, if any, place marijuana will have in the village. On Feb. 25, the board was slated to host a public hearing to discuss a local law potentially prohibiting the sale and distribution of marijuana and marijuana-related products in retail and non-medical settings. Village Mayor Paul Ehrbar said he encourages residents to come to the hearing to discuss the direction Williston Park should take to pursue the potential legalization of recreational marijuana. In separate speeches this month, Gov. Andrew Cuomo and New York City Mayor Bill de Blasio expressed support for legalizing the recreational use of marijuana for adults, with the latter naming it one of his top priorities for 2019. The neighboring village of Mineola approved local laws last month restricting potential sales of the substance to its industrial zone. Nassau County Executive Laura Curran also recently announced the creation of a task force to prepare for the anticipated state legalization of recreational marijuana, co-chaired by county Police Commissioner Patrick Ryder and county Legislator Josh Lafazan (D-Syosset). The Town of North Hempstead has already passed a trio of local laws to control sales at medical and potential recreational marijuana stores, including a similar law to what the village is proposing, a ban on the sale of recreational marijuana in the town. The public hearing on the amendments to local law will be held Feb. 25 at 8 p.m. at Village Hall.